Darryl is an eager Chartered Town Planner who benefits from significant Local Planning Authority experience, earned before joining Pure Town Planning. Darryl is a pro-active planner who actively engages with clients and planning officers to offer design solutions and constructive arguments to secure planning permissions. Darryl originally comes from Weymouth however moved to Bristol in 1993 to study at University of the West of England (UWE) obtaining a BA (Hons) degree in Town & Country Planning and a separate Bachelor of Town Planning degree. Darryl’s first job in the planning profession was as an assistant in a Bournemouth planning consultancy. Darryl qualified for full Membership to the Royal Town Planning Institute in July 2000. In January 2001, Darryl joined Borough of Poole as a Planning Officer and commenced his Local Planning Authority experience. In his time at Poole, Darryl gained a good deal of experience including time as a Senior Planning Officer handling complex and controversial planning applications and appeals such as the development of West Quay and where he excelled in presentations to Planning Committee and defending appeals at all levels. Darryl also gained wide experience in the Council spending time as Planning Enforcement Team Leader and working in the Planning Policy & Implementation team. Darryl actively sought management responsibilities, mentoring fellow planning officers, benefited from delegated powers to sign off applications and was lead officer at Planning Committees advising Members of planning legislation and considerations. 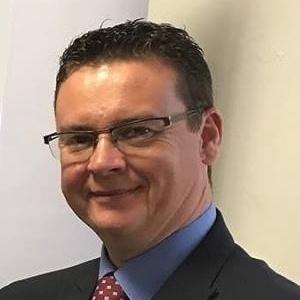 Darryl created the pre-application service currently offered by the Borough of Poole and undertook other procedural changes to speed up decision making processes and create funding streams. Away from the office, Darryl is a fan of theme parks and enjoys travelling to the United States, Las Vegas’ & Orlando in particular. Whilst at home he enjoys spinning, planning golf and watching formula one. At the weekends, Darryl often spends his time learning about fine wines (resulting in drinking many of them), and eating out at fine dining restaurants.